We are flexible. 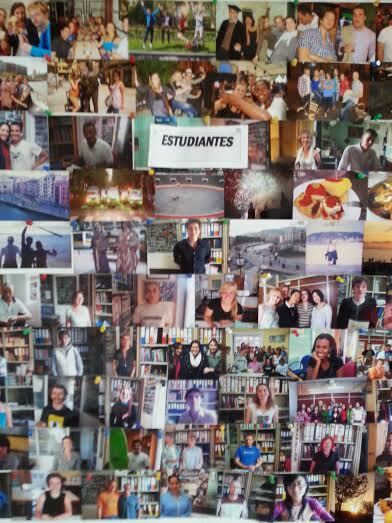 We are accredited by Instituto Cervantes. We offer our clients the opportunity to learn Spanish, teach Spanish or to work in a Spanish speaking environment and learn professional skills. Our courses are available all-year-round, in the morning and in the afternoon. You can participate here in the school or online. Our website is available in Spanish, English, French and German for ease of access. We are ideally located, a 15 minute drive from the airport, a 1 minute walk from Abando, the metro/train/bus station, and 5 minutes’ walk from the Old Town. We offer teaching tailored to your needs and previous knowledge, from A1 to C2 levels, as well as business Spanish. You can learn Spanish with us for as little as one week. We also offer private lessons. We provide accommodation of various kinds, with host-families (full-board and half-board), in student residences, hostels and hotels. We offer an airport pick-up service and insurance packages. http://www.institutohemingway.com/spanish-courses-in-bilbao.php target=_blank>Our Spanish courses start every Monday! We offer thorough and diverse courses in teaching Spanish as a foreign language. This course helps our clients to advance their careers in various ways: through teaching Spanish here or abroad, in Spanish schools or Universities or through volunteering as part of international projects. Our courses consist of 80 hours of lessons that can be taken between Monday and Thursday, in the morning or afternoon, as part of a 10-week course. You choose a schedule that suits you. http://www.institutohemingway.com/es/curso-de-profesores-de-espanol-ele-presencial.php target=_blank>Our next course runs between the 13th of October and the 17th of December 2015. We have http://www.institutohemingway.com/internships-in-spain.php target=_blank>internship opportunities in industries such as Agriculture, Business, Communications, Culinary Arts, Education, Hospitality, Law, Marketing and Travel and Tourism, as well as many more! We also offer paid work in hotels and through au-pair programs. We take pride in our flexibility and pragmatism and our ability to offer something to help you realise your ambitions.